PETS originated in Cape Town in 2007, it was founded by Anoux Massey. 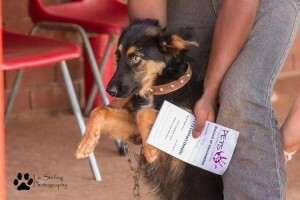 A Johannesburg branch started in 2010 run under the same principles as the Cape Town PETS. Nicole Badenhorst heads the JHB team. The Johannesburg branch focuses on communities South of JHB such as Orange farm Township, Walkerville etc. 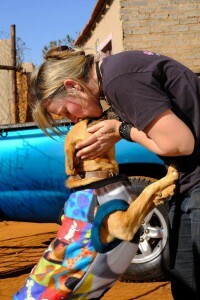 PETS (Pet Empowerment in Townships) strives to empower animals in townships and poor communities. 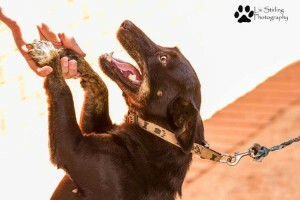 They work with the community to improve the lives of these disadvantaged animals by giving them daily meals, warm shelters, regular inoculations, sterilisations and vet care in emergencies. They also rehome animals that are unwanted, unloved or lost. They try to instil in the communities, a responsibility and pride for their animals by not just empowering the animals, but also by educating and helping the people to uplift themselves. They believe in working hand in hand with the animals and people of these impoverished areas to create unity, trust and stability for all. 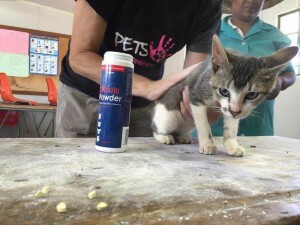 Non-Profit: They rely solely on public and corporate donations to cover the costs of their astronomical vet bills, feeding schemes, sterilisations projects and upkeep of their foster pets. Pro-life: They only ever euthanise if it is in the animals best interests and there are no other options – they fight for each life. Pro-active: They do not sit around and wait for animals in need to come to them. Instead they spend every free minute they have (much to the distress of their families) in the townships LOOKING for the animals that need help. Sterilisation: Their main focus is sterilisation in townships. Since 2007, they have sterilised over 5000 animals in JHB and Cape Town. Foster Care: They believe in foster care because it enables the animal to become part of a loving and caring family immediately which enables it to feel safe, loved and nurtured. In these environments the animals flourish far quicker than they would have in a kennel situation. Foster care allows PETS to understand the needs and likes of the pets in their care and they are able to match them up with families that would be most suitable for their needs. PETS is run by a group of members and volunteers that invest every spare minute into helping animals. They are not paid for what they do and they still have their day-time jobs. They are wholly indebted to all their wonderful foster families, volunteers and supporters; without their support only a small amount of what they do today would be possible. PETS does not have a shelter. All their animals are in foster homes. They have adoption days where people are able to meet the pets, otherwise it can be arranged to meet them at the foster homes. They can only take in as many animals as their foster homes can cater for and therefore adoption is extremely important in order to be able to assist more animals in need. The PETS vet bill can reach up to R60 000 a month! They rely solely on donations from the public to assist with this. PETS rescues are in foster care and it is hard to get them adopted as they don’t get seen as much by the public. They put together monthly pamphlets with all their pets for adoption. They rely on the public to help them by printing these catalogues and placing them in shops / businesses / vets so that the rescues have a chance to be “Seen” and hopefully pull on someone’s heart-strings. PETS concentrates on sterilising township animals in order to prevent unwanted litters and help reduce the increasing population of dogs and cats without homes. Almost 3 MILLION animals are euthanised every year in South Africa due to over population. Sterilisation also prevents types of Cancers and diseases which are prevalent in the townships because of the amount of unsterilised animals. Many dogs in the townships do not have adequate shelter. PETS provides kennels to every dog they sterilise/treat. The kennels are made by local residents in the township whom PETS employs, but they can only order as many as funds allow. They also collect second hand kennels (in decent condition) to redistribute. As of August 2016 PETS JHB have distributed over 700 kennels to the township dogs. Thousands more are still in need! 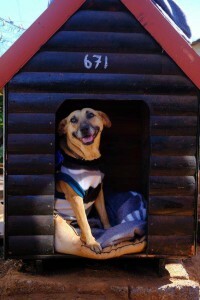 You can help by sponsoring a medium kennel for R350 or donating a second hand kennel you no longer use. The ultimate way you can help the organisation is by adopting one of their rescues and giving them a wonderful life. This is the biggest wish – for the rescues to find loving homes. As soon as a pet is adopted, PETS is able to help another animal in need. The site is designed with all our stakeholders in mind: investment-owners, residents, developers, Bodies Corporate and Home Owners Associations. We have taken great care to provide a resource that encompasses the basics of what estate management is to the laws that govern residential estates for ease of use.